If you’re born and bred in the city life, pollution is a very real problem that you need to be concerned about. Of course, we all know that pollution can negatively affect your health, but did you also know that it could be a reason for all the skin problems you’ve been having? The chemicals being pumped daily into the air by the technology around us can be a major contributor to skin conditions from acne flare-ups to eczema. It’s not surprising that the beauty industry has jumped at the chance to arm their products with the latest in anti-pollution skincare technology. 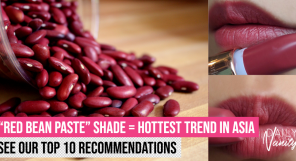 Here are the 9 newest anti-pollution beauty treats that you need in your skincare arsenal to defend yourself against daily environmental aggressors! 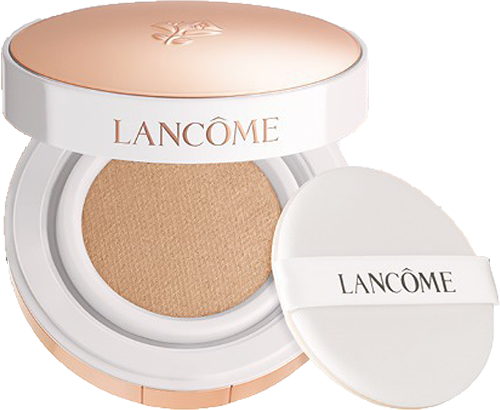 Available in both Light and High Coverage, the classic Lancome Blanc Expert Cushion has been revamped in more ways than one. It now comes in a new and absurdly pretty rose gold casing, but more importantly, its formula has been updated to withstand the hustle and bustle of modern city life. It contains Moringa, which has anti-inflammatory properties, being rich in vitamins, mienrals, and proteins. The ingredient helps to defend your skin against pollutants, which would otherwise stick to and get absorbed into the skin. It also has Baicailin, which lengthens the life cycle of skin cells by 10% and protects them from free radical damage that causes skin ageing. Lancome Blanc Expert Cushion in both High and Low Coverages retail at all Lancome counters and at Sephora at SGD20 for the case and SGD55 for the refill. Vichy has lately released an entire UV Protect range which aims to not only defend your skin against harmful sun damage, but also oxidative stress and pollution. The entire range is paraben-free, hypoallergenic, and formulated for sensitive skin. The Vichy Anti-Shine Cream is everything your skin needs in one simple product. It’s SPF50+ and protects the skin by filtering UV particles. 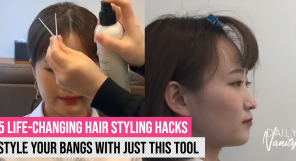 You can also use it as an anti-shine makeup base as the product will mattify and smooth out skin texture. It can even double up as a moisturiser, providing hydration up to eight hours. Vichy Anti-Shine Cream retails at SGD36 at Guardian, Watsons, Unity, and selected hospital pharmacies. 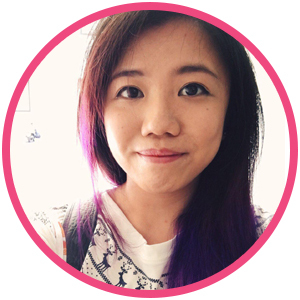 A primer that colour corrects at the same time? As if that isn’t multi-tasking enough, the Clarins SOS Primer also contains organic sea lily extract and the proprietary Clarins anti-pollution complex (a blend of nipplewort extract, white tea, and furcellaria) to keep your skin protected at all times. The primer comes in six different shades that you can mix and match according to different concerns for different regions of your face. 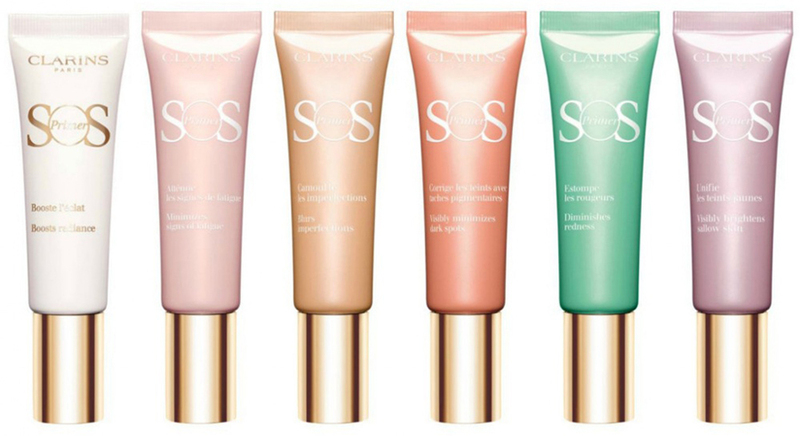 Clarins SOS Primer retails for SGD56 each at all Clarins counters, boutiques, on their website, and at Tangs. You may have all the great anti-pollution skincare and makeup on your face, but don’t leave your body out! Biore is releasing brand new Anti-Pollution variants of their Refresh Bright series, also packing in double UV protection with SPF50+ and PA+++. The serum also acts as a shield against the damaging effects of pollutants like dirt and dust, but yet doesn’t leave a sticky after-feel with the ultra-light serum texture. It also comes in Intensive White and Extra Moist variants for those who need a boost of whitening or hydration in their anti-pollution skincare. Bioré UV Refresh Bright Anti-Pollution Body Care Serum retails for SGD12.90 at selected Watsons, Guardian, and NTUC outlets. In our busy lives these days, it can be all too easy to get so caught up with trying to juggle everything that we forget the most basic essentials that our body and skin needs. The Chanel Hydra Beauty Masque de Nuit au Camelia contains the highest concentration of camellia among all Chanel products. Along with other complexes and minerals, the mask reactivates cellular oxygenation, recharges your skin with essential nutrients, and encourages the synthesis of ATP, which keeps your cells running. Chanel Hydra Beauty Masque de Nuit Au Camelia will retail at SGD128 at all Chanel Fragrance and Beauty Boutiques from 26 April 2018, and at all Chanel Fragrance and Beauty counters from 4 May 2018. There’s something for the men too. Pollution isn’t just confined to the cities, so you need to be sure your defences are up and ready at any time. 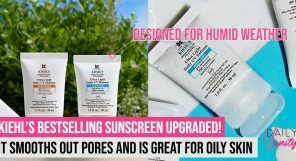 Lab Series contains SPF35 and PA+++ to combat the damages from the sun, dehydration, and pollution, so that you don’t have to worry about looking older than you are! Lab Series Day Rescue Defense Lotion SPF35 PA+++ retails for SGD68 at Lab Series stores, Tangs Orchard, Metro Paragon, Robinsons Raffles City, JEM, and The Heeren from April 2018. Too busy to go for a facial? 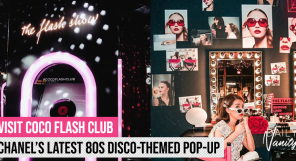 The latest addition to the Fresh family is exactly what you need. 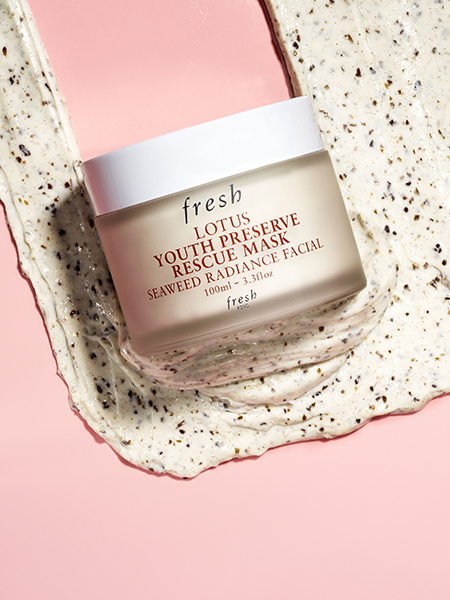 Harnessing the benefits of plant-based ingredients, the Fresh Lotus Youth Preserve Rescue Mask is set to multi-task for your skin as your “5-minute facial in a jar”. Set your timer, because in five minutes, the mask aims to fight against the five key signs of skin stress: dullness, rough texture, uneven skin tone, dryness, and congested pores. 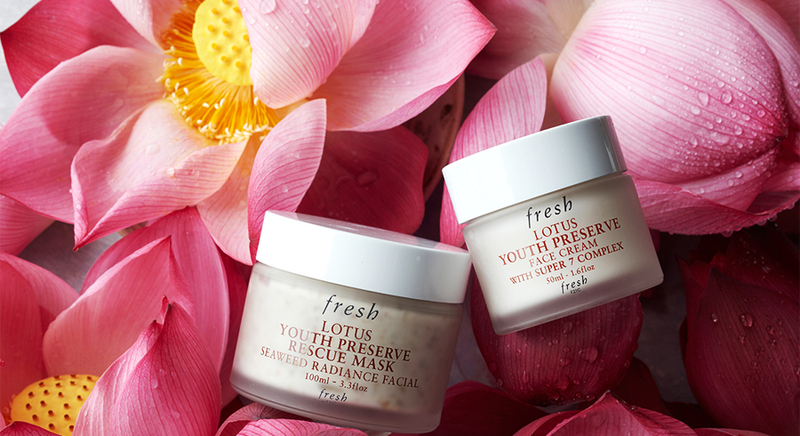 Fresh Lotus Youth Preserve Rescue Mask retails at SGD105 (100ml) at Sephora and Fresh stores. You’ve seen the success of the bestselling Himalayan Charcoal Purifying Glow Mask from The Body Shop. Now you can look forward to an addition to the charcoal goodness: the latest Limited Edition Himalayan Charcoal Purifying Facial Soap. Taking their cue from Asian cultural skincare wisdom that exalts the power of charcoal in detoxifying the skin, The Body Shop has infused this cleansing soap bar to rid your skin of impurities from pollution. 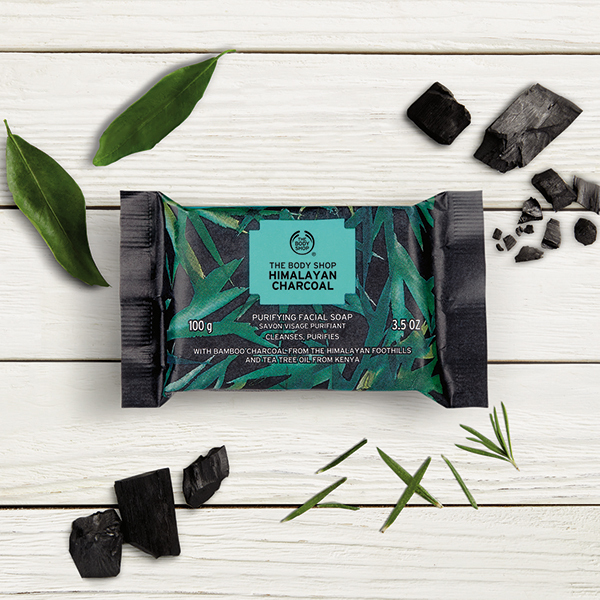 The Body Shop Himalayan Charcoal Purifying Facial Soap retails for SGD12 at all The Body Shop outlets from 12 April 2018. THREE is one of the very few skincare brands that emphasizes on holistic wellness, instead of simply just taking care of the superficial. 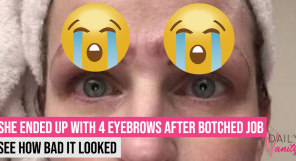 Their products are usually infused with essential oils that are not only good for your skin, but also help to restore mental and emotional balance to your soul. In their latest line targeted at busy city dwellers, THREE has not only utilised botanical ingredients to restore and strengthen the skin’s defence mechanism against environmental aggressors, but it has also infused laurel leaf oil and frankincense oil to deliver a sweet and spicy scent that relieves stress and tension. Check out the THREE Cleansing Oil (SGD68), which is gentle on the skin but yet thorough in its job of cleansing the skin of impurities. 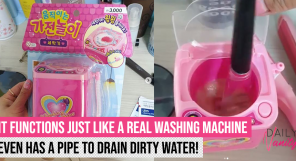 It can be used as a makeup remover and a facial cleanser, removing excess dead skin cells and air pollutants that may clog pores and lead to skin issues. THREE Line is now retailing at all THREE stores and boutiques.